One Northamptonshire Mecca Bingo player has turned a £1 stake into the jackpot of a lifetime. A Northampton-based online bingo player won £321,000 on only a £1 stake. The player, who asked to remain anonymous, told the Northampton Chronicle & Echo that she plans to clear her debts and take a holiday somewhere sunny. The lucky player wasn’t the only celebrating the huge win. Mecca Bingo, one of the top game providers in the UK, was excited about a big win for one of its players. Caroline Webb, a spokeswoman for Mecca Bingo, wished the player well with their plans. As one of the most established names in UK gaming, it’s no surprise that more than one million people visit UK Mecca Bingo locations each year. Mecca helped popularize UK bingo in the 1950’s, and the company has grown to employ more than 11,000 people in the nation and generate more than £200 million a year in revenue. But Mecca hasn’t rested on its laurels. It has remained an innovator in mobile gaming, offering opportunities for big wins like the Northampton player saw firsthand. Specialty provider Bede Gaming powers the site which provides apps available for both Android and iOS, as well as gaming options on its mobile site. Online, players can play a wide variety of games including 75, 80 and 90-ball bingo as well as themed options with popular shows like X-Factor and Deal or No Deal. More than just the winnings, Mecca Bingo has remained an industry leader because of its focus on community. There’s a YouTube channel where players can submit a “Mecca Moment” and the company also offers a Facebook page for fans to share stories. The interactive fun isn't limited to online events - or even its players. Last year, the company broke the world record for largest game of office bingo with a game at its Maidenhead headquarters. 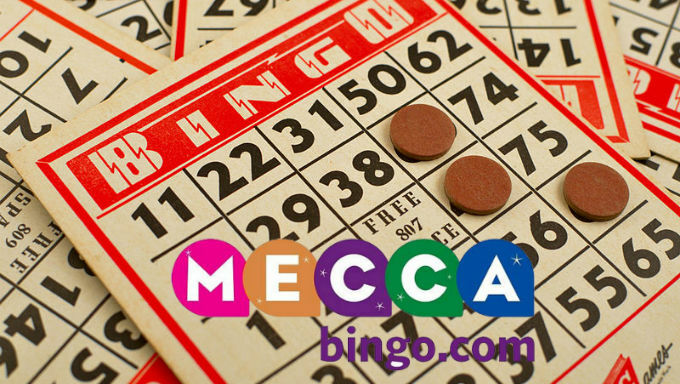 If that wasn’t enough, Mecca has one of the best loyalty programs among top online bingo sites. With “Mecca Treats”, frequent players can earn points through a wide variety of cards. There are also free games, birthday bonuses and prize draws.